When you have itchy skin, this is typically not a cause for concern; but if the issues are persistence, this can be cause for alarm. If you find yourself constantly itching, you want to know effective ways to stop itching. This article will give you some great tips to help stop itching and relieve skin irritations. Baking soda is a great remedy for itchy skin because it contains sodium bicarbonate. This component helps relieve skin irritations and soothes irritated skin while reducing inflammation. You can create a paste by mixing baking soda and water together and apply this to the itchy skin. You can also soak in a warm bath with a cup of baking soda for up to an hour. Allow your skin to dry naturally afterward. Oatmeal is often the first go to natural remedy to treat itchy skin. Unprocessed oats contain avenanthramides that help heal, treat and reduce skin irritations. Soak in a tub with 2 cups of uncooked oat flowers to soothe skin irritations. You can also make a paste using oat flour and water, then apply this paste to the irritated skin. Cover the paste with a clean cloth and leave on for about 30 minutes before rinsing with warm water. The natural antiseptic properties of apple cider vinegar make it an effective natural remedy for itchy skin. Apple cider vinegar can help treat dry skin, acne, rashes and prevent to growth of bacteria that can cause infections or other skin irritations. Apply the apple cider vinegar directly to the skin using a cotton ball or soak in a tub with 3 cups of vinegar for about 40 minutes. 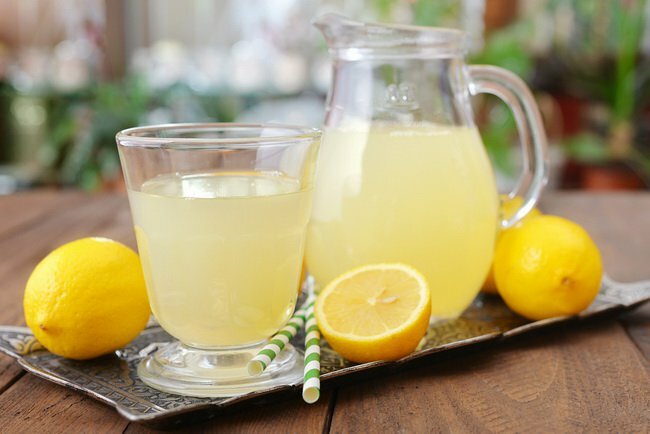 For those who do not have sensitive skin, lemon juice can be highly effective at treating itchy skin. The acids in lemon juice have antiseptic, anti-inflammatory and anesthetic properties that can reduce skin irritations that cause itchiness. How to stop itching using lemon juice? Apply the juice directly to the skin. Allow it to dry on its own and rinse off with warm water, then repeat the process two times a day. The vitamin E along with the anti-inflammatory, antibacterial as well as the antifungal properties makes aloe Vera an ideal treatment for itchy skin. Apply the gel from one aloe leaf to the skin for 15 minutes. Rinse with warm water and repeat the process daily. Basil is an herb that contains eugenol. This essential oil is an ideal anesthetic that can effectively reduce the need to itch. Boil a tablespoon of dried basil in two cups of water. Allow this to cool before using a cotton cloth to apply it to the itchy areas. You can store this solution in a jar to use later to repeat the process until the itchiness subsides. You can also crush the basil leaves and apply this directly to the skin. Let the leaves dry before rinsing with warm water and repeat the process as needed. Thyme is another herb that can help treat itchy skin. Thyme can help reduce inflammation of the skin that is often caused by scratching an area too much. Boil a tablespoon of thyme leans with two cups of water. Allow the mixture to cool before straining and using a clean cloth to apply it directly to the skin. Repeat as needed. The antiseptic, analgesic and anti-inflammatory properties of peppermint oil make it a great option to help treat itchy skin. This can be used to reduce skin itchiness caused by stress, dermatitis, and scabies. 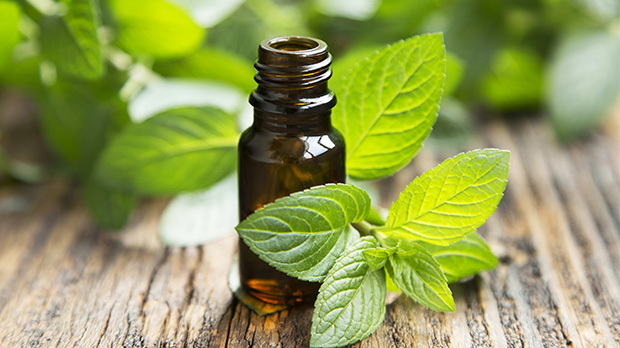 How to stop itching with peppermint oil can be done a few ways. Mix a few drop of the oil in with a warm bath water and soak in the tub for a half hour once a day. You can also mix the peppermint oil with a tablespoon of coconut oil and massage the mixture onto the irritated skin. Repeat this process twice a day. Cold compresses can help reduce inflammation and relieve the itchy sensation of irritated skin. Apply a cold wet cloth or ice pack wrapped in a clean cloth directly to the skin. Let this cold compress rest on the skin for up to ten minutes and repeat as needed. Stopping yourself from itching can be difficult, so you might want to take some extra measures to reduce the urge to itch. Keeping your nails short will make it more difficult for you to scratch itchy area. Also, find ways to keep your hands distracted so they are preoccupied. Itchy skin is often caused by a lack of moisture, especially if you have dry or sunburned skin. To help reduce the itching sensation of dry skin, you want to be sure to restore moisture to the skin regularly. This can be done by choosing a hydrating skin moisturizer to apply to the skin as well as ensure you are drinking enough water throughout the day to ensure you're well hydrated from the inside out. How to stop itching can be as simple as changing your clothes. Many materials and fabrics can make your skin more irritated and itchy. Wearing loose clothing and items made from cotton or silk can greatly relieve skin irritation and reduce the urge to itch. Give your skin the chance to breathe in the clothing you wear. The sheets or blankets you sleep in can be the answer to or at least reduce itchiness.